Dave Stroud Photography: Image chosen for possible publicity of 2016-2017 OPS Exhibition in the University of Oxford Museum of Natural History. Image chosen for possible publicity of 2016-2017 OPS Exhibition in the University of Oxford Museum of Natural History. 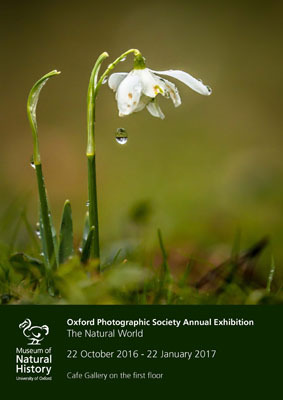 My image of the snowdrop has been chosen for publication purposes for our annual Oxford Photographic Society exhibition, this year held in the University of Oxford museum of natural history.